Welcome to our blog. This blog will highlight stories, and articles related to achieving a healthy, mobile lifestyle. 28 Jan2016 100 Men Give a Damn ...and so does Nova. Corey Pritchett and Steve Hogan attended the recent 100 Men Who Give a Damn NL meeting last night. Here at Nova, we believe in giving back to the community, and our staff members do too. With winter upon us, and snow beginning to cover many regions of the province, thousands of people are shovelling snow to clear their sidewalks and driveways. Snow shovelling is very hard work and can put severe stress on your heart, as well as, stress and strain on your spine. So, as winter gets underway, we’ve outlined 10 tips for how to keep your back healthy when shovelling snow. Adam has completed the Level III Lower Quadrant Manual/Manipulative Therapy course. Way to go Adam! 16 Oct2017 Cape to Cabot Congratulations to all runners! 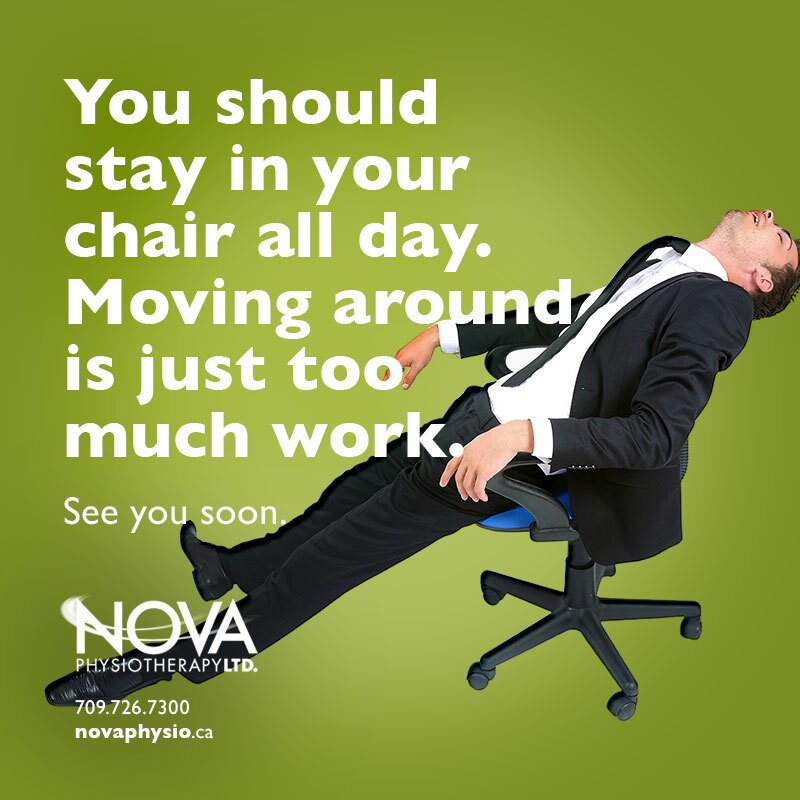 Copyright © 2019 Nova Physiotherapy Ltd.